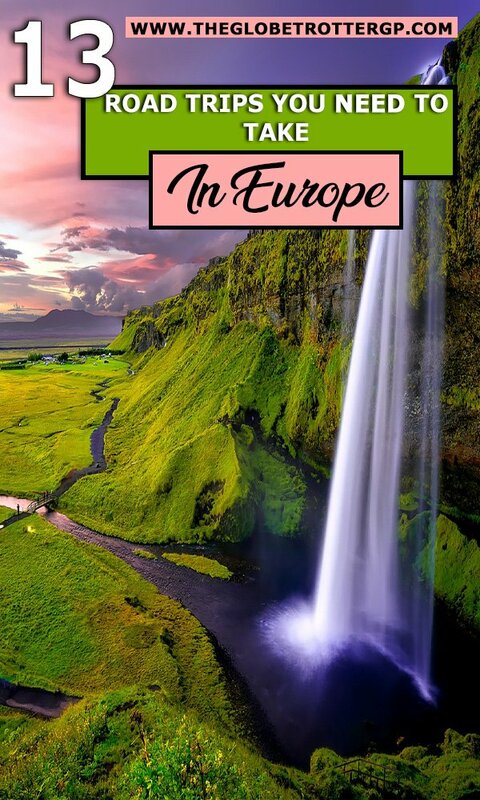 Hands up, who loves a Europe road trip?! There’s something pretty special about taking a road trip with some awesome tunes, the summer breeze in your hair and adventure on your mind. On road trips in Europe, you may see fairytale towns, magical castles, beautiful beaches, old cities, rolling hills or snow-capped mountains. 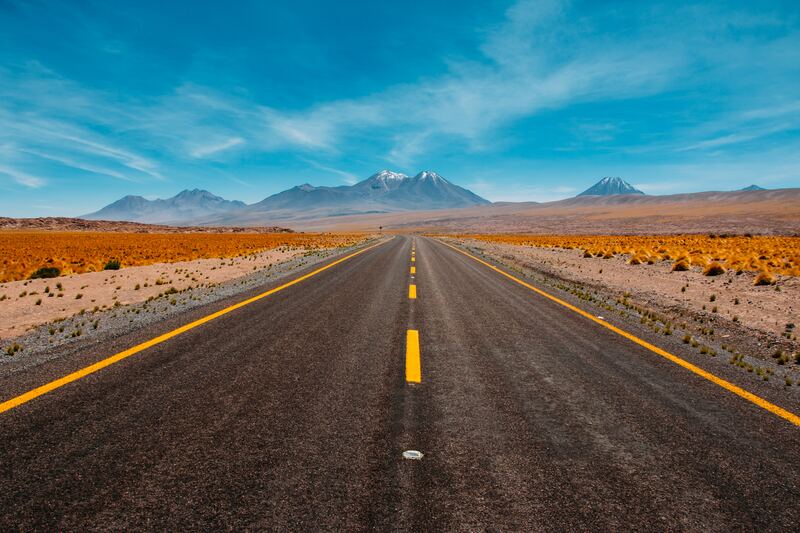 There is no better way to quickly get to know a country than to road trip around it. The best road trips are those which evolve as you go. With a few must-sees on your list but the freedom and time to stop whenever somewhere inspires you. On previous Europe road trips, I’ve driven over a river and spotted kayaks and within half an hour, I was out on the water myself. Bliss. A few of my favourite ever road trips have been in Europe. I’ve driven through Italy, along Croatias coastline, along Iceland’s ring road and I’ve circumnavigated Sicily, one of Europe’s most beautiful islands. I’m always looking for inspiration for more road trips in Europe and so I’ve asked some of my fellow travel writers to tell us about their favourite trips. 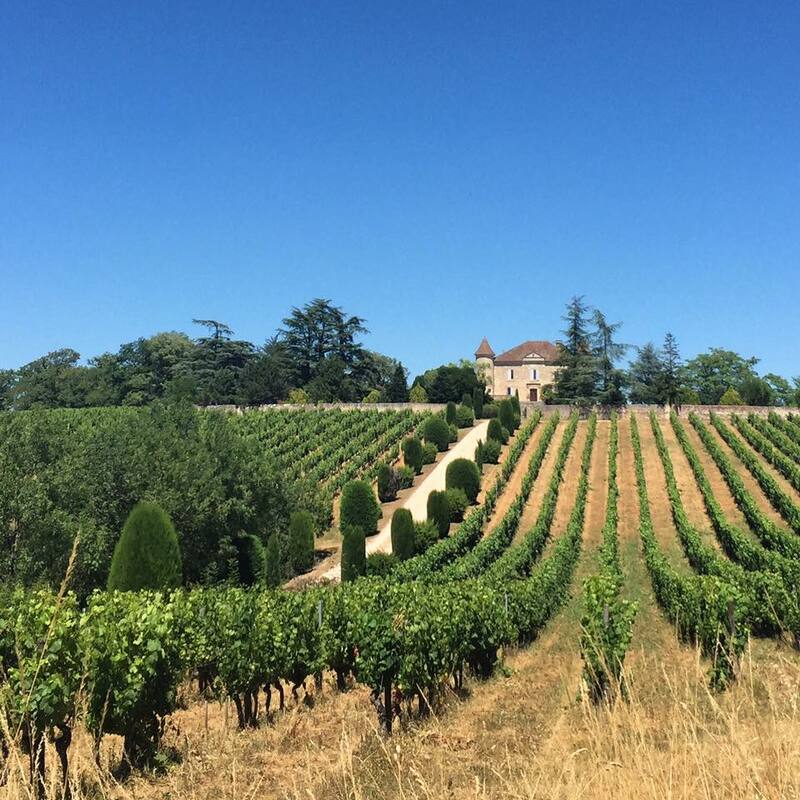 But first, I’d love to tell you more about my personal favourite European road trips.. When to Go March-September is the best time to visit Iceland for a road trip. Iceland is beautiful at all times of the year but if you’re driving the full ring road it would be best to avoid winter when the road conditions are unpredictable. 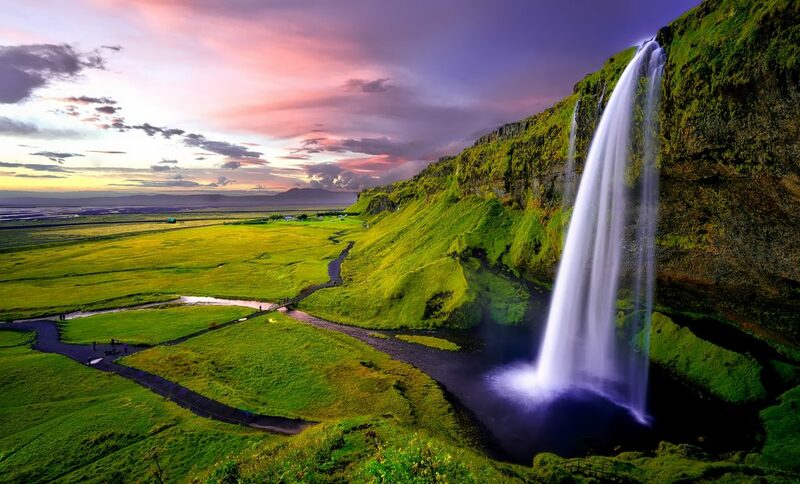 Iceland is like nowhere you’ve ever seen, it could almost be it’s own planet. It is seriously stunning. It’s also a lot easier to travel around Iceland on a road trip than you’d imagine. The weather is not so extreme as you might think and it’s very easy to get around – there’s only one main road so you can’t get lost! 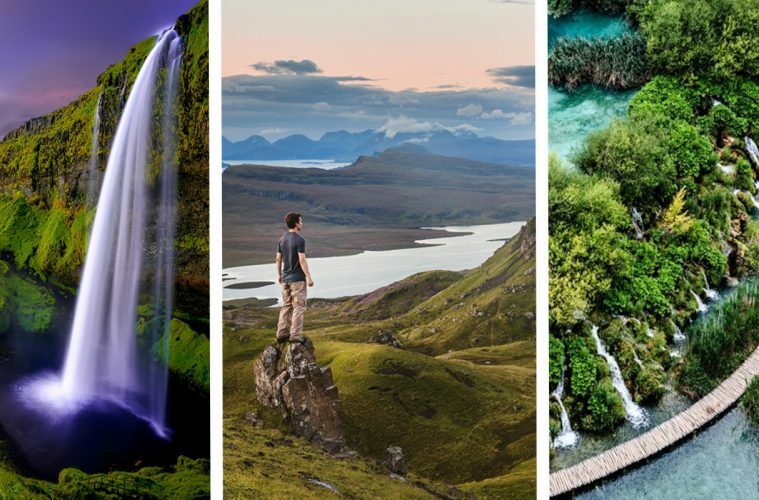 Whilst Iceland is pricey, there are also ways to see Iceland on a budget so don’t let this put you off! 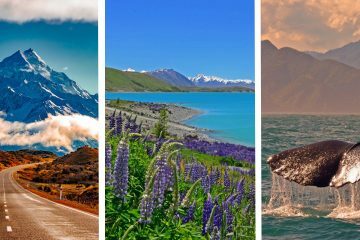 It’s one of the safest countries with very low crime rates making it a great Europe road trip for solo travellers. I felt safe at all times. 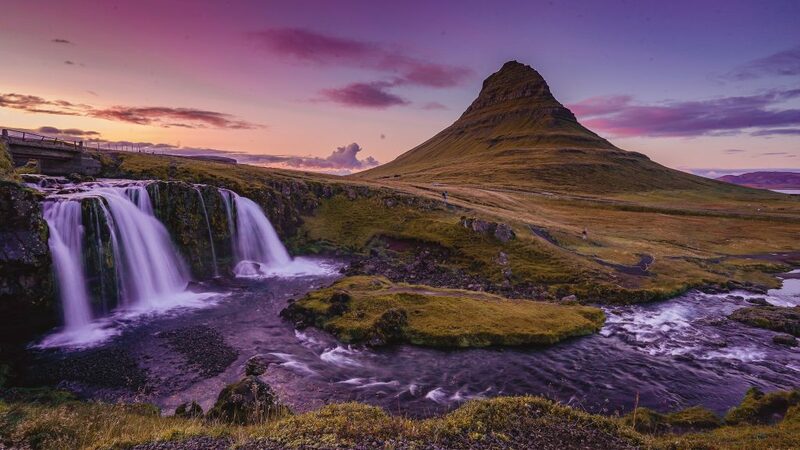 Some of the most beautiful scenery requires venturing a bit further than most tourists manage and a road trip is the only way to see places like Kirkjufellsfoss – Iceland’s most photogenic waterfall. The Blue Lagoon is best visited just before sunset so you can see it in daylight and at night when it’s all lit up – it’s spectacular. 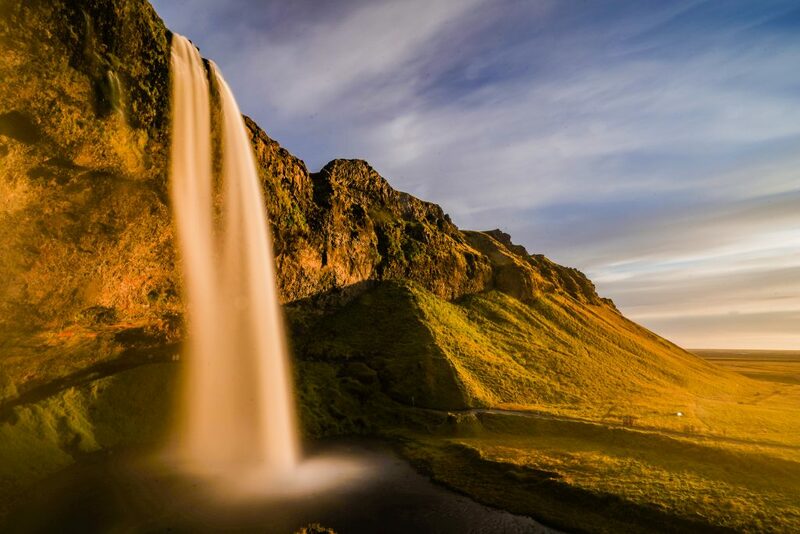 Visit the ‘secret waterfall’ by hopping over the fence behind the Skogafoss museum and following the stream. It was my favourite waterfall and barely any visitors were there. When to go The Shoulder seasons would be best when it’s not too hot or too busy. April, May or September would be best. When you take a road trip in Sicily, you will be blown away by the incredible scenery. Beautiful secluded coves, turquoise oceans, ramshackle old towns with beautiful architecture. 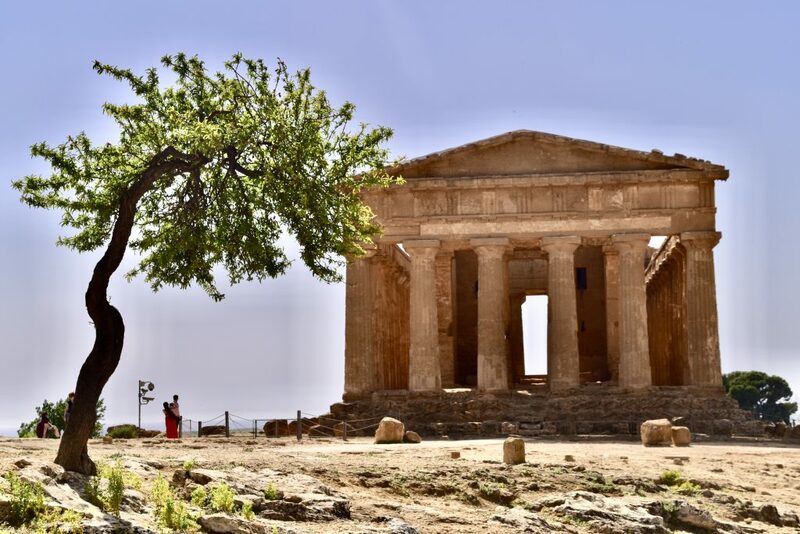 There is so much to see and do in Sicily from visiting old amphitheatres to taking coastal hikes, visiting quaint villages and exploring ancient monuments. Sicily is also a great location for foodies. It’s known to have some of the best food in the whole of Italy. 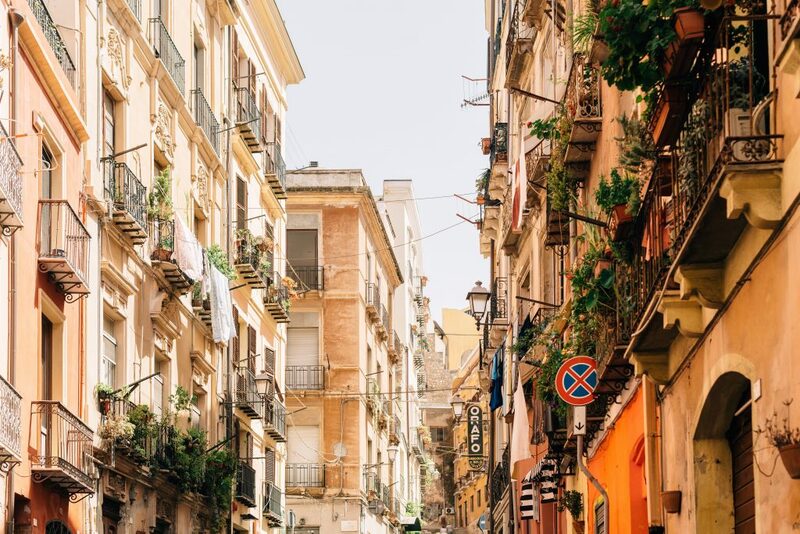 Sicily is one of the best road trips in Europe if you are looking for a good mix of town, coast and countryside. I’d recommend staying at Turismo Rurale when you visit Cefalu. With its rural setting with ocean views and a gorgeous pool to relax by, it would be easy to stay here for the duration! 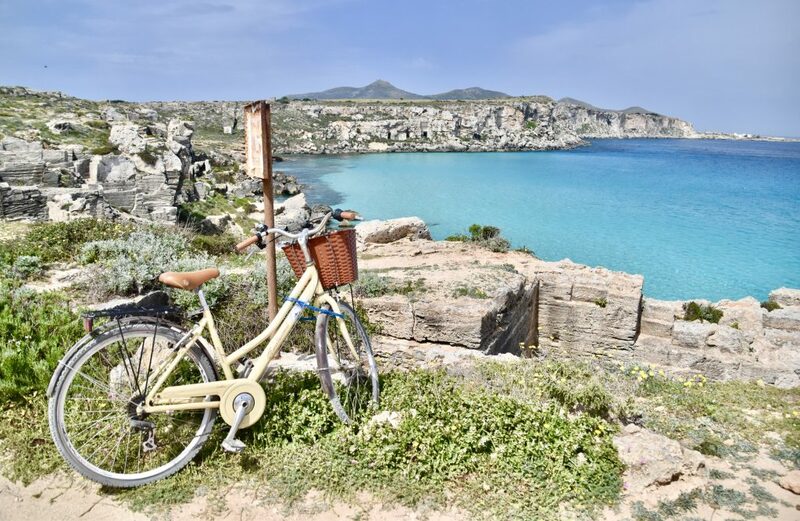 Favignana is an absolute must-see. Hire a bike and spend the day cycling around this beautiful little island which has been compared to the Caribbean. 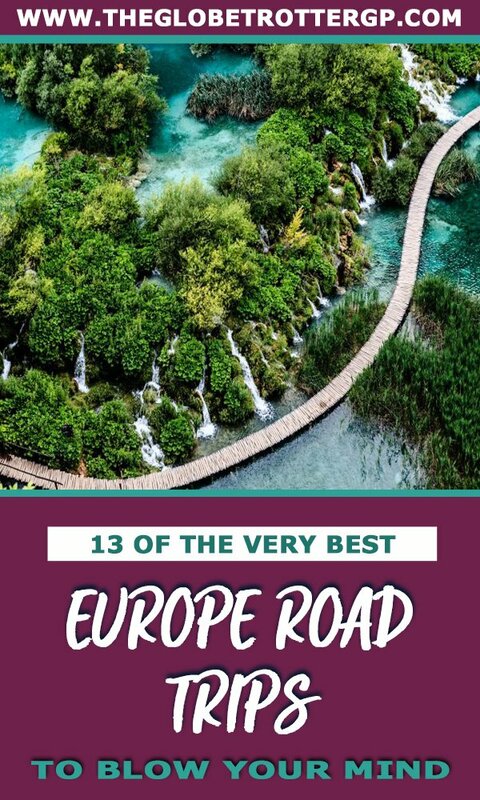 Despite what some may think, Croatia is incredibly easy to road trip with well-maintained roads, signs and plenty of scenery to entertain you along the way. If I had to choose a place to spend more time in, it would be Omis. This underrated town is actually teeming with adventure. Kayaking, canyoning, zip lining, rock climbing… There’s SO much to do here, I could have spend the entire week just enjoying myself here, plus there are tons of great beaches to relax at after your adventure is done. 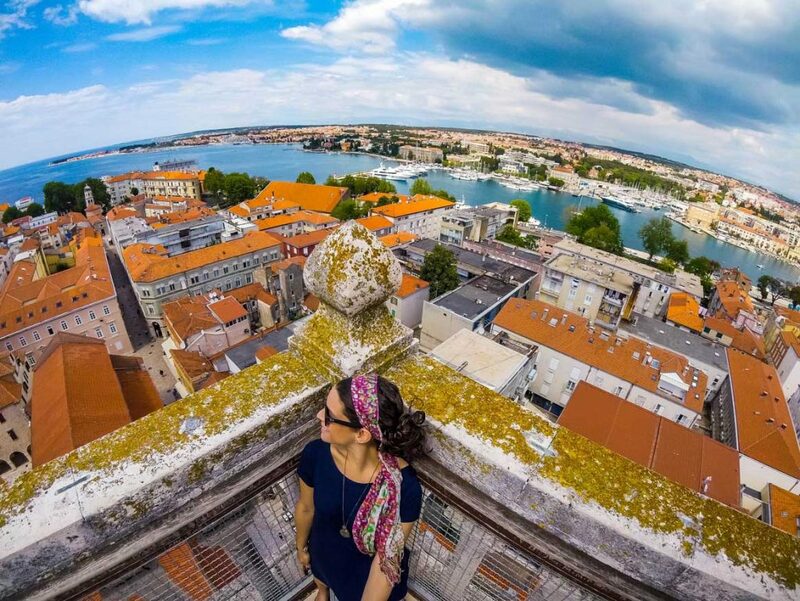 Split may be a place high on your list, as it was mine, but unless you’re into nightlife, I found it a bit overrated, so I’d recommend spending more time in the other destinations along the way. 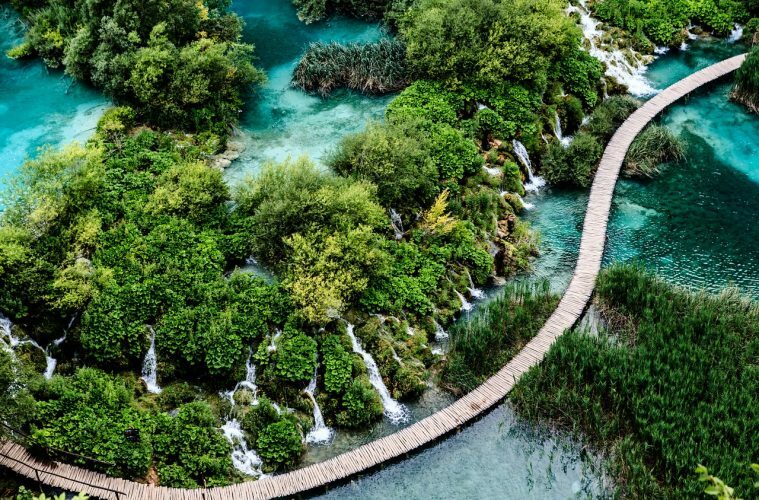 Plitvice Lakes will be crowded but the hype is worthy and you should definitely make it there, just go as early as possible. Also, don’t pass up on Omis even though it’s not a “popular and well known” town, it’s worth it if you love outdoor adventures. When to go June to September is the best time to go as temperatures are mild and days are long. 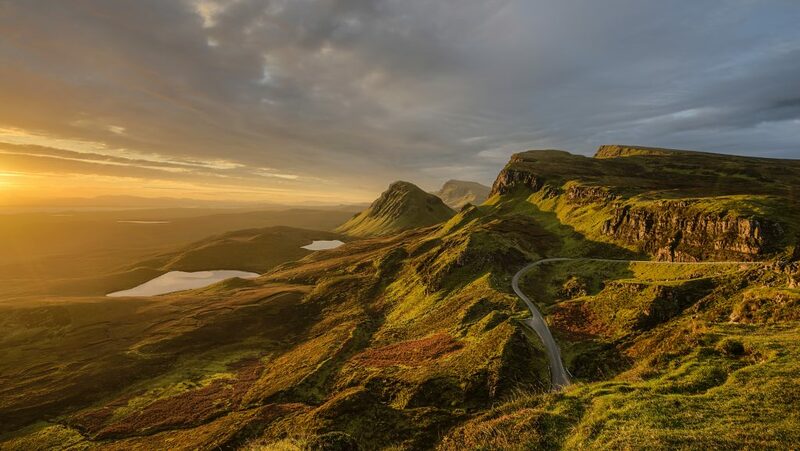 A road trip through Scotland is undoubtedly one of the best ways to experience this country as it gives you the ultimate freedom to explore! 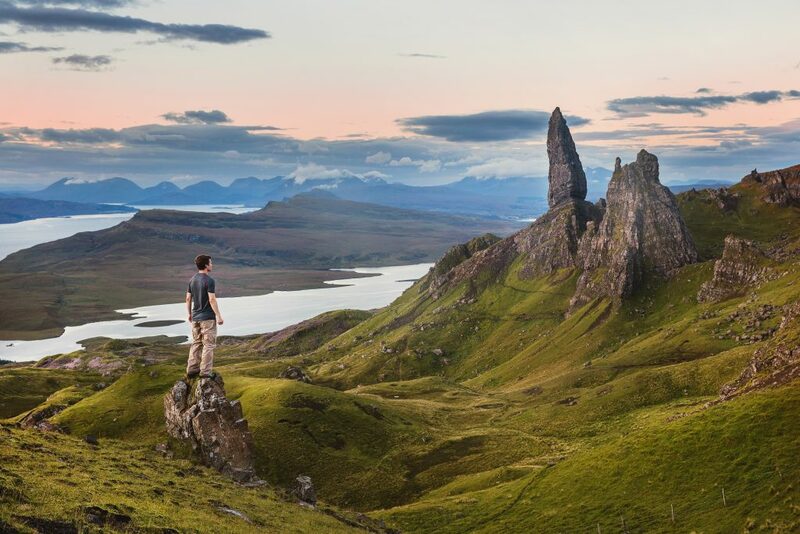 Scotland and the Highlands and Islands, in particular, have some of the most dramatic and spectacular landscapes that you will find anywhere in the world. Visiting by car allows you to easily get off the beaten path and stop at unique viewpoints, hike a multitude of paths and wild camp in remote locations. For the history buffs there is also a lot of fascinating history to learn, spanning time from Neolithic villages to Medieval wars which have been wonderfully preserved. Make sure to stop by a whisky distillery to learn more about the unique drink and the different types that exist throughout Scotland. When to go Our trip took place in the summer but anytime except winter is a great time to visit. 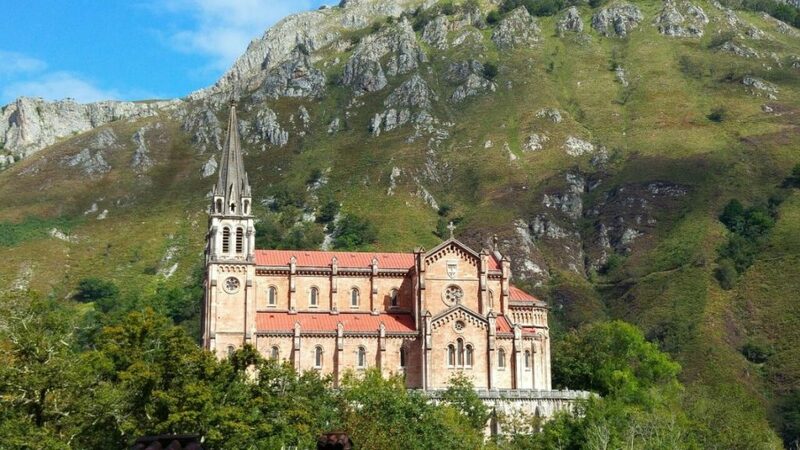 Asturias in northern Spain is a stunning collection of culture, cuisine and nature. Our road trip began and ended in Oviedo, the capital of Asturias. This city is bursting with medieval history, art galleries and neighbourhoods specializing in gastronomy and local traditions. From there we visited Picos de Europa National park to experience one of the most challenging and beautiful hikes in Europe known as the Cares River trail. Next stop was Gijon, an ancient city on the north coast facing the Bay of Biscay. We drove across the northern coast facing the Bay of Biscay for some excellent beach time and seafood. We stayed at 2-star hotels and for one night in Gijon we splurged and stayed at Parador Gijon in a 100-year-old converted mill. 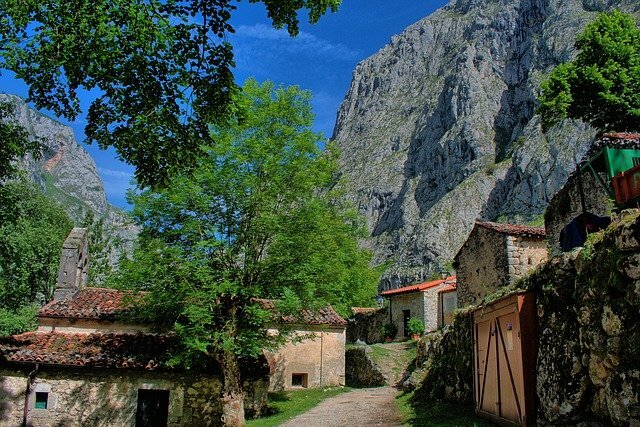 Asturias is still flying below the radar in terms of tourism, but not for long. Parador Gijon in Gijon for a lovely stay in a renovated old mill. Also, hiking the Cares River trail. 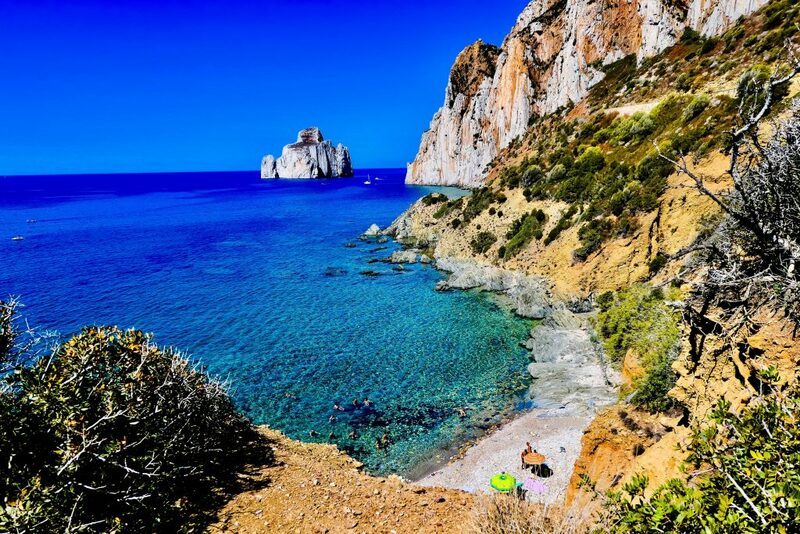 This road trip isn’t just incredibly scenic, crossing some of the most incredible landscapes of Sardinia. It also goes to some of the prettiest villages on the island, and to a bunch of places where visitors can get a good understanding of the local history and culture. Among the highlights, there’s visiting Tharros Archaeological Site, on the Sinis peninsula. The site, which shows layers of various civilizations including the Phoenician, the Punic and the Roman one, is right by the sea, so the views are splendid throughout the visit. Monte Prama giants were one of the most sensational archaeological discoveries in Sardinia. The Ethnographic Museum in Nuoro has an incredible exhibit through which it’s possible to learn more about the millenary cultures of Sardinia. This road trip is perfect for history and culture junkies. I loved staying at Bia Maore hotel in Baunei. Don’t skip taking a Sebadas seminar in Nuoro if you care to know the secrets to make one of Sardinia’s traditional desserts. The Czech Republic is such an amazing country. Unfortunately, most people (over 90%) only see Prague! That means, if you go on a road trip around the Czech Republic, you are very likely to have most of the places for yourself. Exceptions are Prague, Český Krumlov, and Kutna Hora (at least during the day), as those are popular day trip destinations. On this road trip, you can see 6 UNESCO sites that are absolutely incredible. 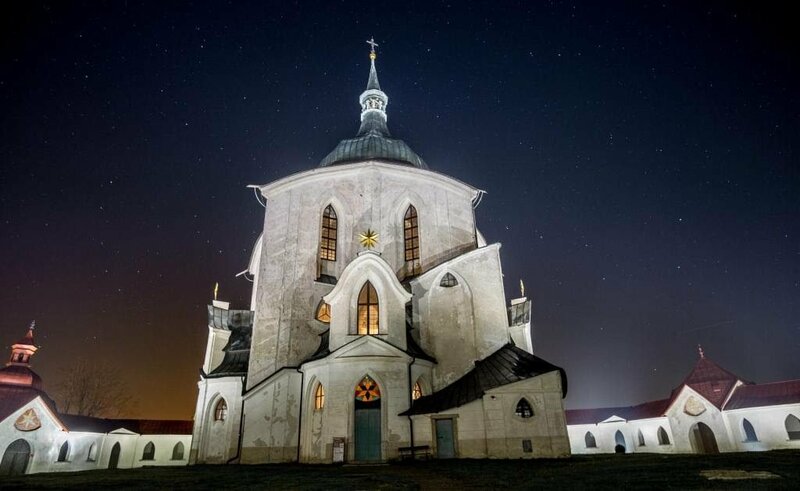 My favorite was the church of St John of Nepomuk on Zelená Hora in Žďár nad Sázavou. I still can’t believe that I was the only one there! If you go in the summer, I highly recommend adding a day or two to Český Krumlov. The region is absolutely stunning and you can add in some hiking or a kayaking tour on the river. If you are a foodie, I recommend doing a food tour in Prague to discover more about Czech food and beer. And when you are in Pilsen, add a Beer Spa to your visit! The best road trip in Europe is the magical journey through Lithuania, Latvia, and Estonia as it is jam-packed with unique sights and scenery that will blow your mind. A must-see on this Baltic road trip is the vibrant capital of Lithuania, Vilnius. Visit the Hill of Crosses next, a pilgrimage site with 2,000 wooden crosses of various shapes and sizes. Next on the list is the Ninth Fort which brings about an emotional journey through the dark times of Lithuania as you walk pass the museum’s colourful glass-stained walls and exhibits. 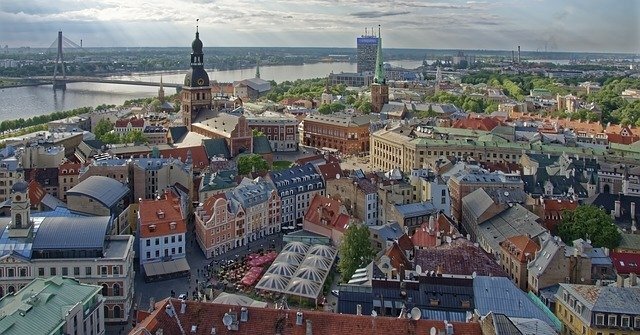 In Latvia, you can’t miss visiting its capital, Riga. You may find yourself haunted by the past as you visit the Salaspils concentration camp only to be relieved by the fairytale-like atmosphere of the Turaida Castle. 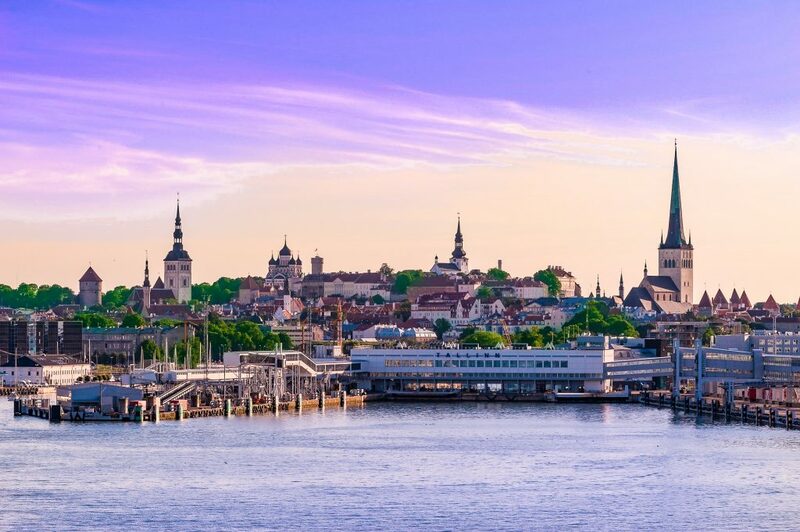 Next stop is Tallinn in Estonia, where the charming cobblestone streets and churches of the Old Town will take your heart away. Venture into the Danish King’s Gardens and dark hooded monk statues will make your heart skip a beat. Stay at the Gallery Park Hotel & SPA in Riga and Park Inn by Radisson Meriton in Tallinn. The West Sweden coast is rugged and scenic, and if you are looking for relaxation, there is possibly no better place in all of Europe. Not easily accessible by train, this area of Scandinavia is best experienced as a road trip. 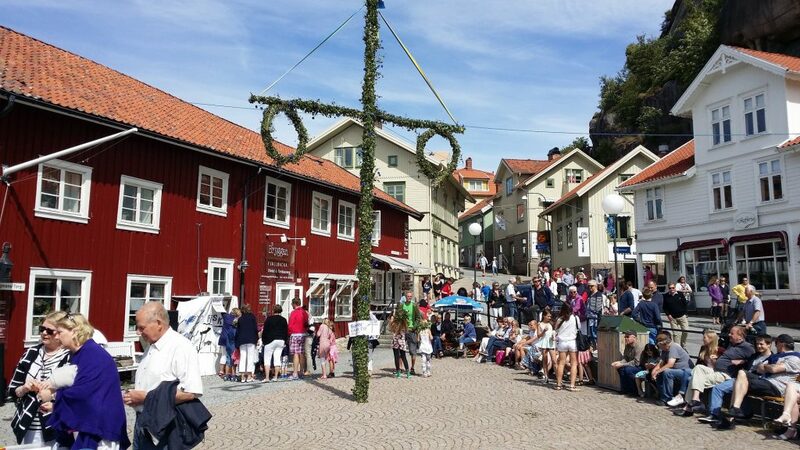 While you should certainly take time to explore Sweden’s second largest city, Gothenburg, the real magic of West Sweden lies in the small fishing villages and uninhabited islands. 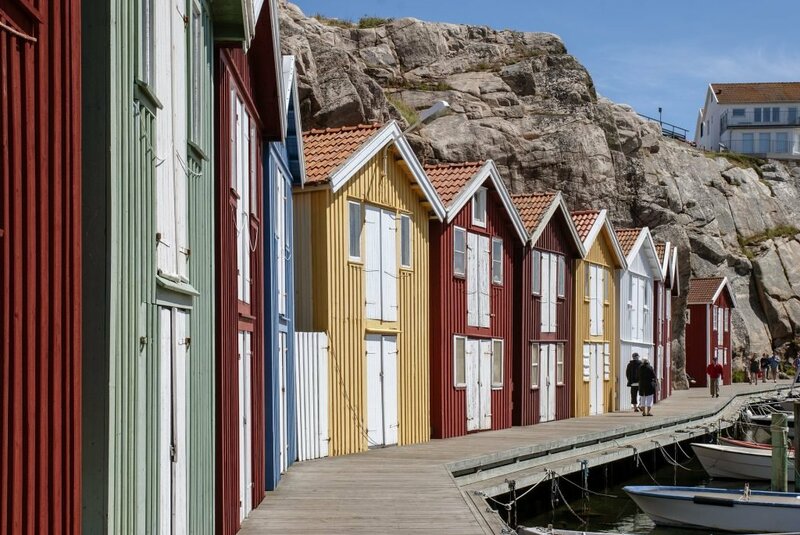 In the town of Smögen, colourful fishing boats line the wooden boardwalk, making for a picturesque seaside stop. Spend a night on the rocky Weather Islands. The archipelago is mostly uninhabited, which gives you a chance for meditation, reflection, and relaxation. Andalusia is an amazing opportunity to see incredible Moorish architecture and palaces, scenic white villages (Pueblo Blancos) clustered on cliffs, and crystalline beaches on the Mediterranean. We started our road trip in Beautiful Sevilla, where we toured the incredible Alcázar palace (dating from first century AD!) and Sevilla Cathedral, where Christopher Columbus is buried. On a day trip to Córdoba, you can see the “mosque-in-a-cathedral-built-on-a-mosque” that is the magnificent Mezquita. With its stunning gorge in the centre of town, Ronda makes a great base for seeing Andalusia’s white hill towns. It’s a drive of a lifetime into the hills of Southern Spain through picturesque villages, leafy forests, and herds of goats. Also, the Alhambra Palace in Granada is one of the most visited sites in Europe, for good reason. It’s a one-of-a-kind Moorish palace with intricate, colourful tile and carved scalloped facades everywhere. And finally, Nerja is a beautiful little beach town on the Med, in case you need a vacation from your vacation. 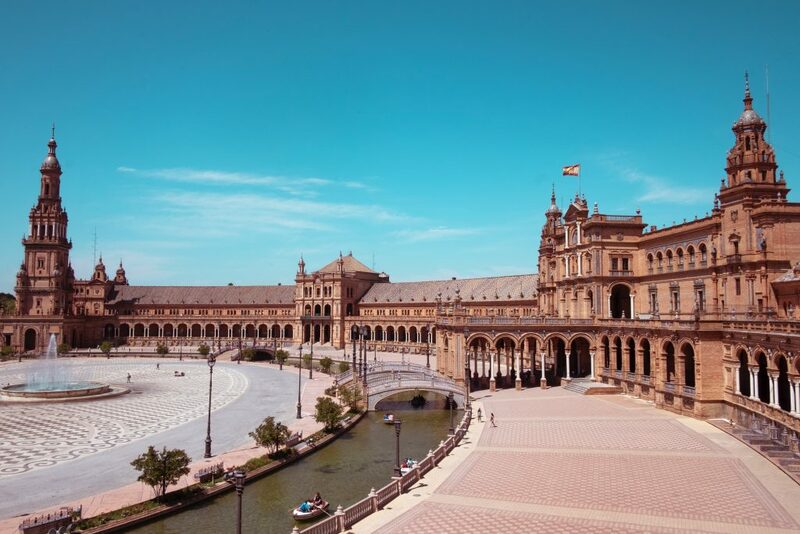 We sandwiched this road trip between a train trip to Barcelona on both ends of our trip, but with more time, that would also be a beautiful drive. We loved staying at the central, affordable and beautiful Hotel Posada del Toro in Granada and cliffside Casa Palacio VillaZambra in Ronda during our two weeks in Spain. There’s no better view at sunset! The Pre-Celtic fort of Grianan of Aileach. When to go May-September when there is a higher chance of getting good weather and the days are longer. Donegal is the northernmost county in Ireland and a bit out of the way, which means it is totally unspoiled and largely ignored by most visitors to Ireland. Malin Head is the start of the Wild Atlantic Way, which takes you along one the wildest and most spectacular stretches of coast you will ever see. 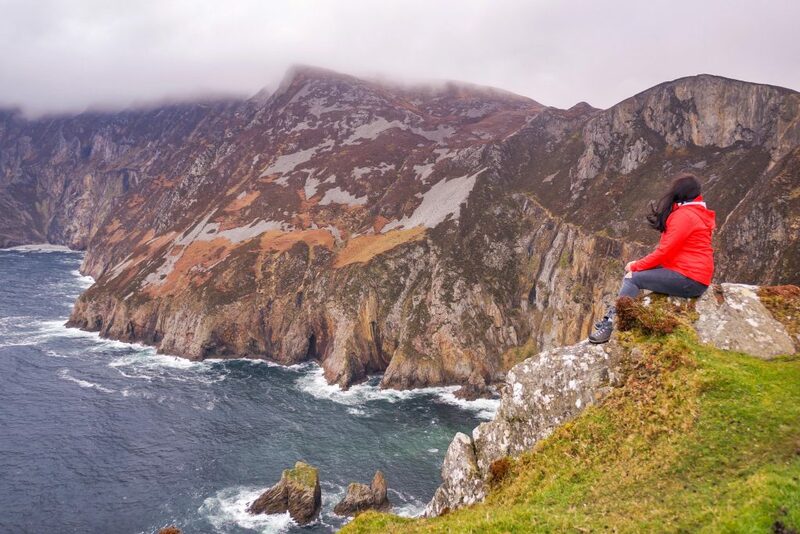 Make sure you climb to the top of Slieve League, some of the highest sea cliffs in Europe, for breathtaking views. 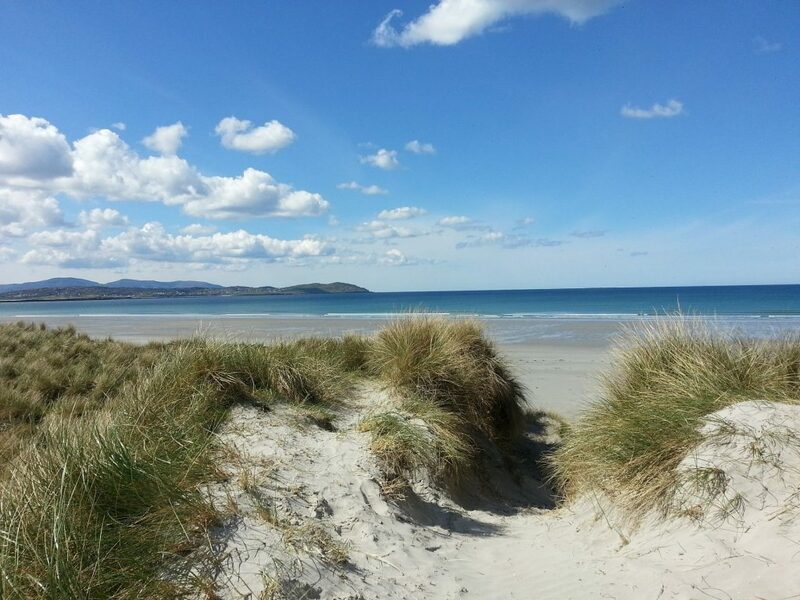 If you have time, go horse riding on Dunfanaghy Beach and feel the freedom of the open sandy road ahead and the wind in your hair. And don’t forget to try the local seafood at Cove Restaurant in Portnablagh. Truly mouthwatering! Georgia in Eastern Europe is a hidden gem which is often overlooked by the travelers. The country is home to some of the oldest churches and cathedrals in Europe, with breathtaking natural beauty and the remains of the Soviet war. The best way to explore the beauty of Georgia is to go on a road trip because the pit stops in between the cities in Georgia, walking by the never-ending lonely rivers and unexplored green mountains is the best way to get up and close with the natural beauty that Georgia has to offer. 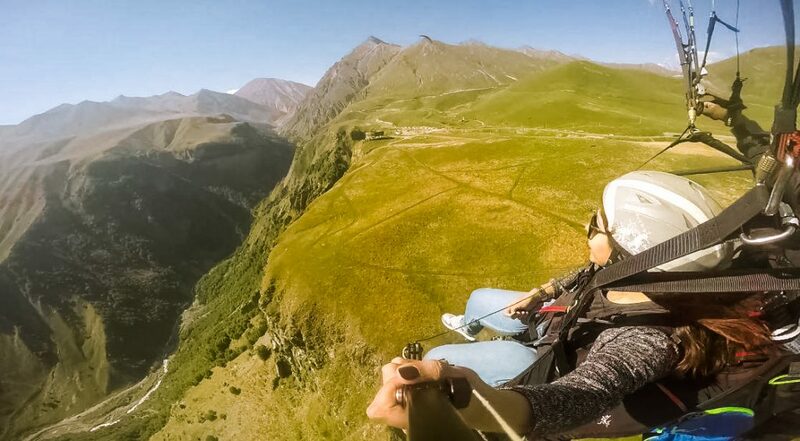 I absolutely loved the paragliding experience at Gaudauri. The view of giant green mountains with small streams flowing through them was the main highlight of my entire road trip. I recommend hiking to the Trinity Church on the Mt. Kazbegi in the town of Kazbegi. It is a short and easy hike of just two to three hours but walking through the alpine trees with snow-capped mountains in the surrounding is an incredible experience to have during the road trip. Also, to get the panoramic views of the green mountains in Kazbegi, stay at the Rooms Hotel Kazbegi. 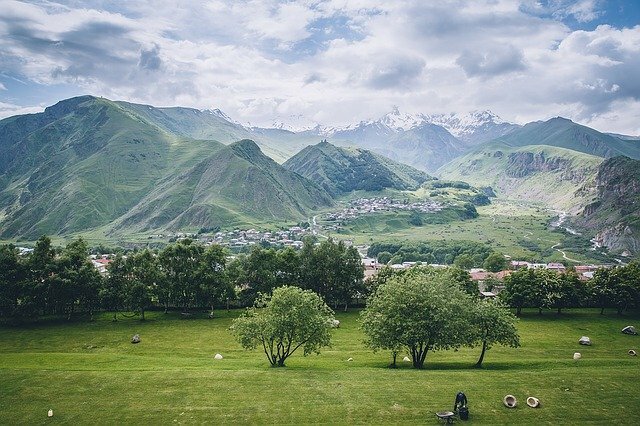 It is the best hotel to stay in Kazbegi and the views from the hotel room are definitely not to be missed! Krakow’s beautiful architecture and large medieval square. Gdansk for the European Solidarity Movement and a beautiful Old Town. When to go May and September, the shoulder season months, when weather is nice and crowds are less. 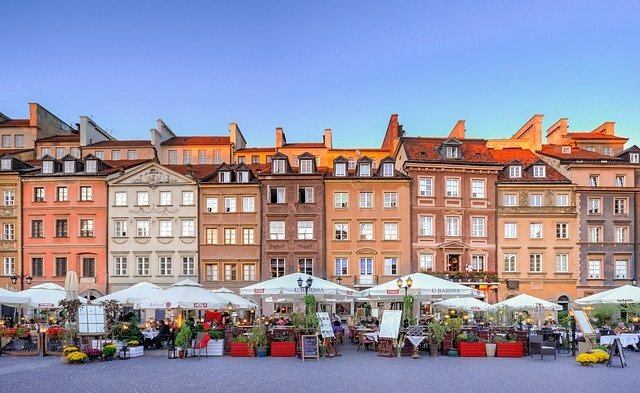 Every city on this itinerary for Poland is picturesque. 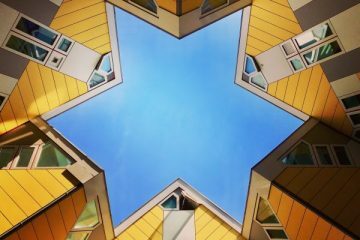 Their colorful facades and gorgeous architecture will have you reaching for your camera every few minutes! Each place comes with a rich history. You will be moved deeply when you visit Auschwitz. You will be cheered by the resilience of the Polish people and the love and care with which they rebuilt their cities from the ashes and rubble of World War II. You will love sampling the delicious local cuisine, from the traditional pierogis to mouthwatering desserts like Polish doughnuts and cheesecake. 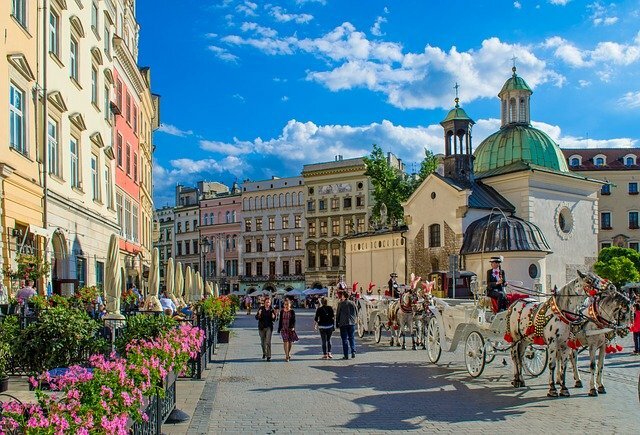 And finally, you will be surprised by how affordable it still is to visit Poland. But go soon, because Poland is rapidly becoming a sought-after European destination, and prices will inevitably go up! Don’t miss the Monument to the Heroes of the Warsaw Ghetto in Warsaw. You will find it very moving. And reserve an afternoon to enjoy the beautiful facades of the Old Town in Gdansk on a walking tour. Don’t forget your camera! 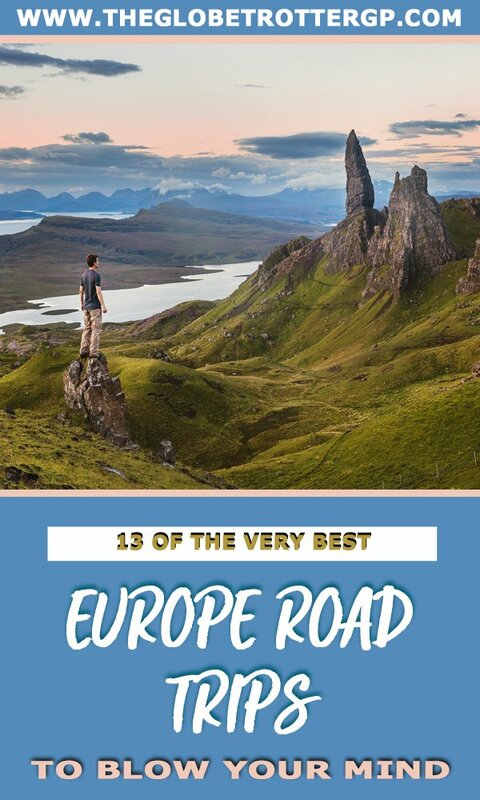 Hopefully, you got plenty of inspiration here for road trips in Europe! 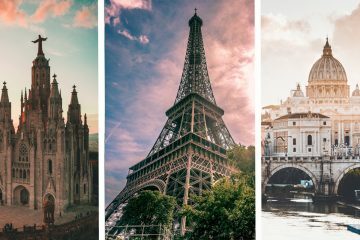 Which Europe road trip would you take? Tell us in the comments below! Or have you been on another road trip we need to consider? I’d love to hear from you! If you liked this article, please feel free to share it on social media and Pinterest! 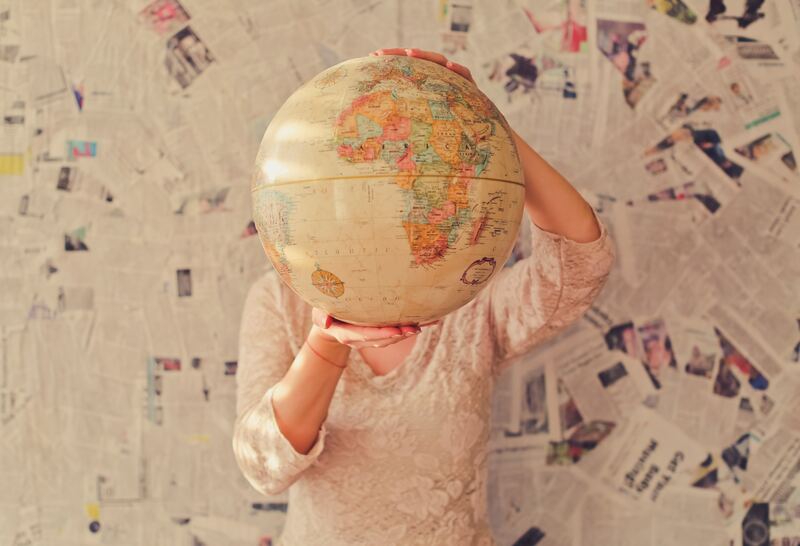 5 Reasons you should never use to not travel!